Preserving our natural resources does not have to be at the expense of sacrificing a beautiful landscape. Typical Las Vegas landscapers know the best methods for providing an elegant and beautiful landscape design without wasting water or resources. For example, an eco-friendly landscape idea is to employ a combination of elemental designs such as synthetic grass, colorful rock formations, paver stones and heat resistant foliage. To further enhance your lawn at night, landscape lighting is a great solution. Your landscape design is unlimited by your imagination, even utilizing a timed irrigation and sprinkler system for periodic watering will save water and enhance growth of flowers and foliage. You are not limited to desert landscaping only, a beautiful eco-freiendly green lawn is easily achieved by employing a few simple water saving ideas. Do your part in conserving the green earth and stay eco-friendly at the same time. 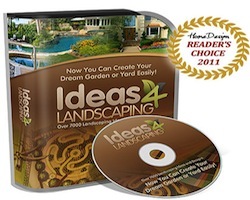 Bring out the beauty of your landscape with a few new designs and landscaping ideas from our landscape professionals.